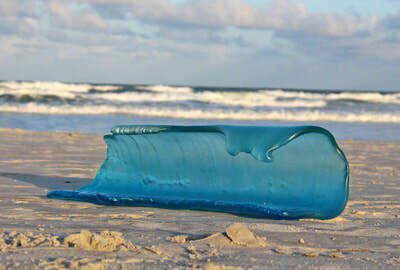 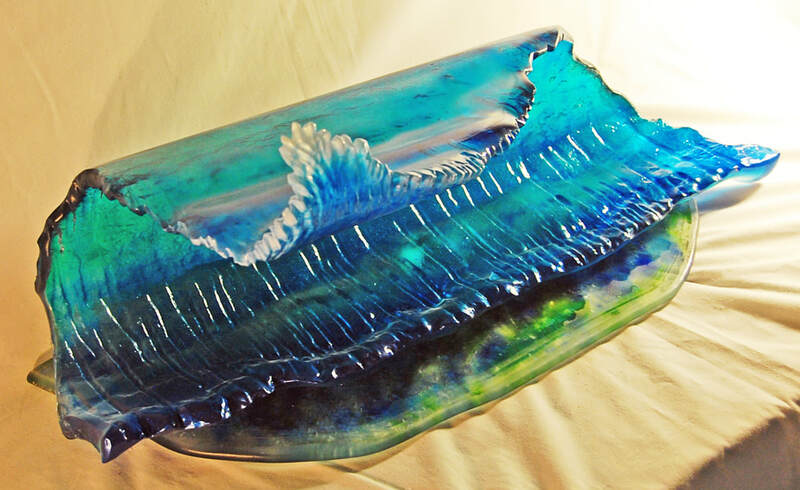 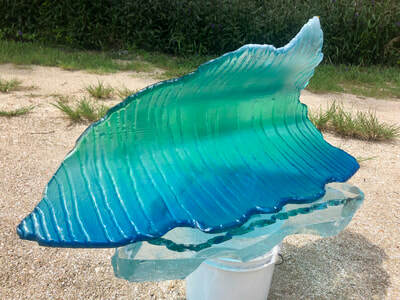 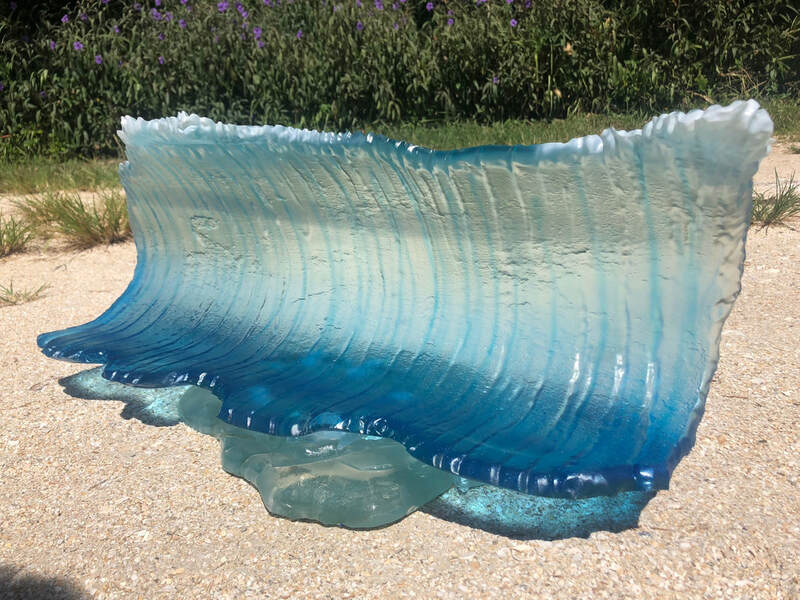 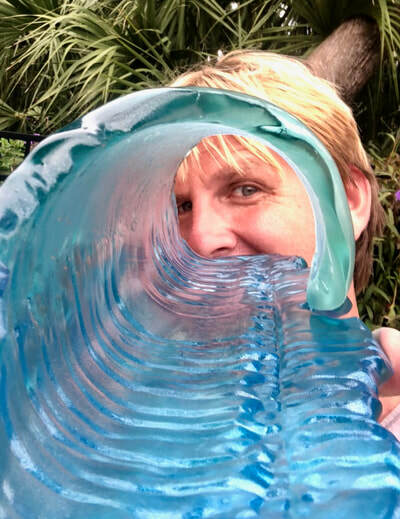 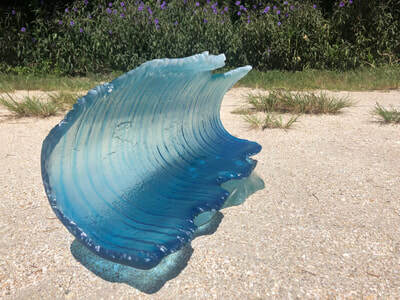 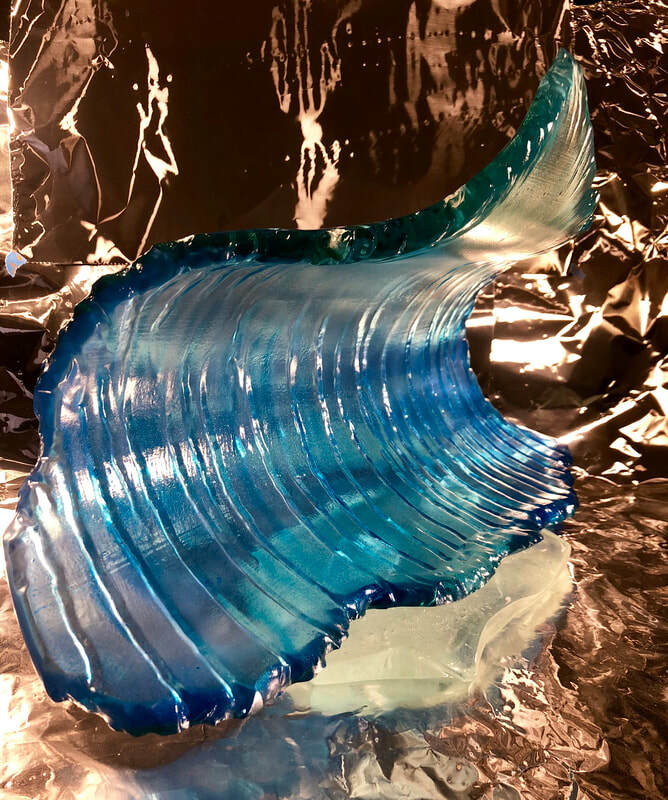 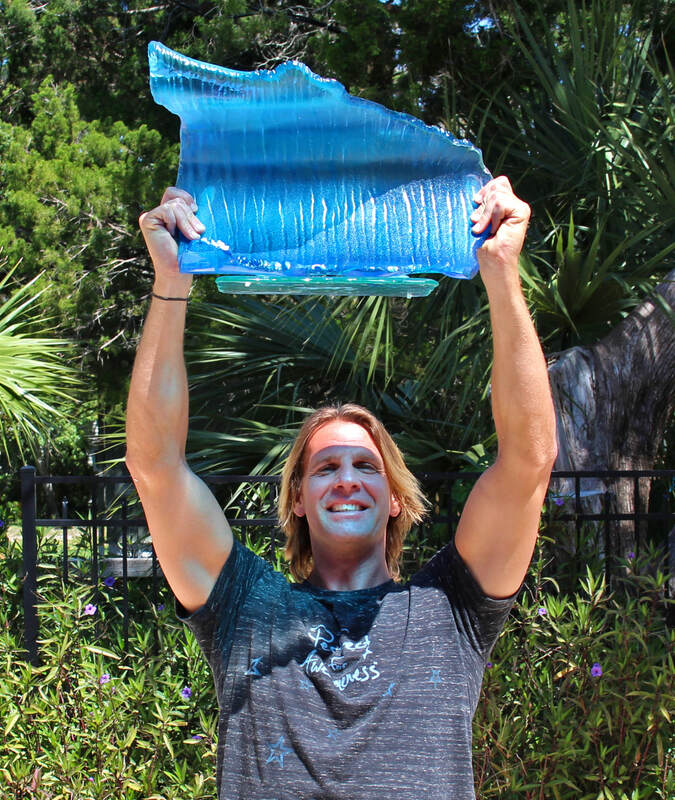 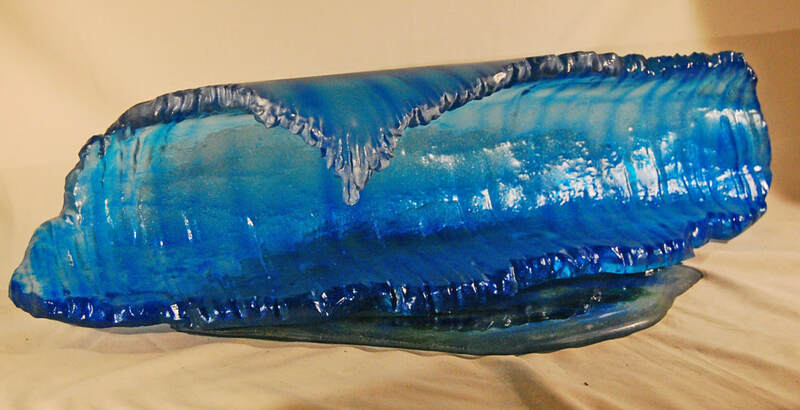 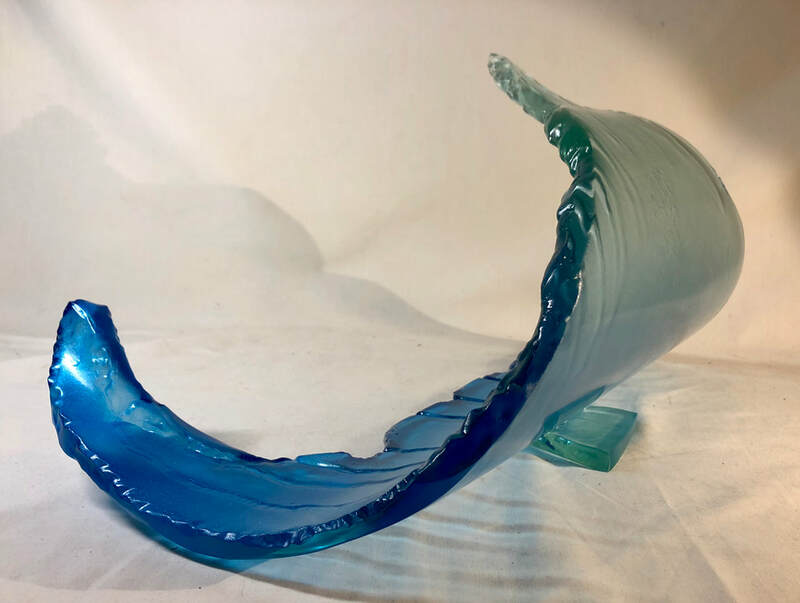 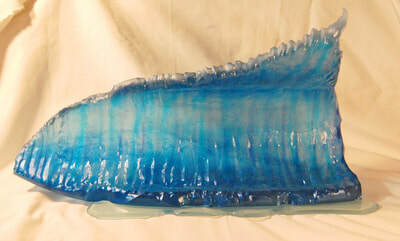 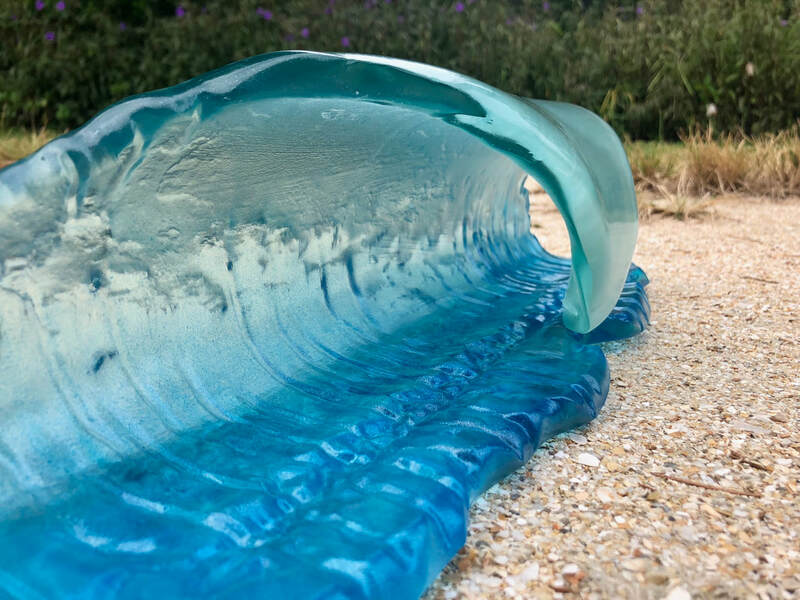 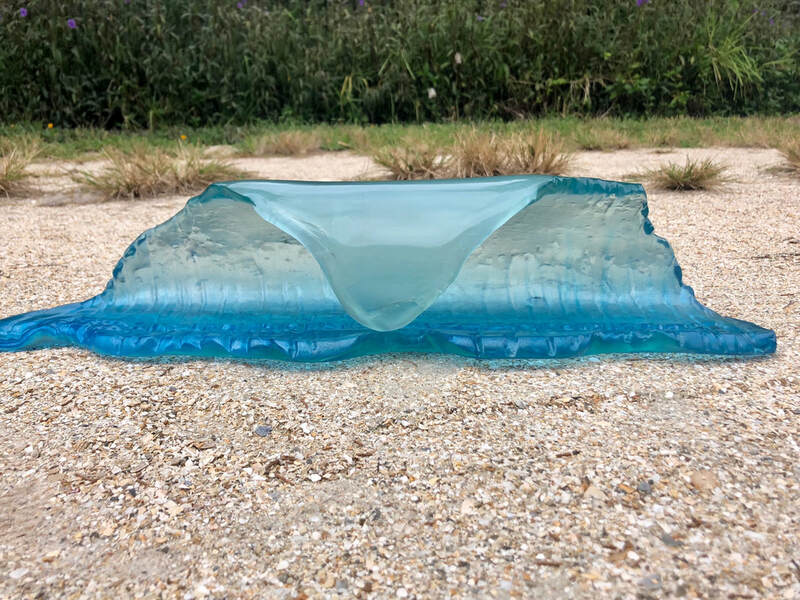 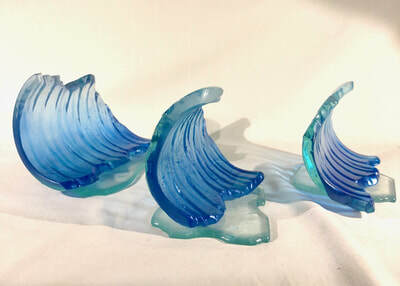 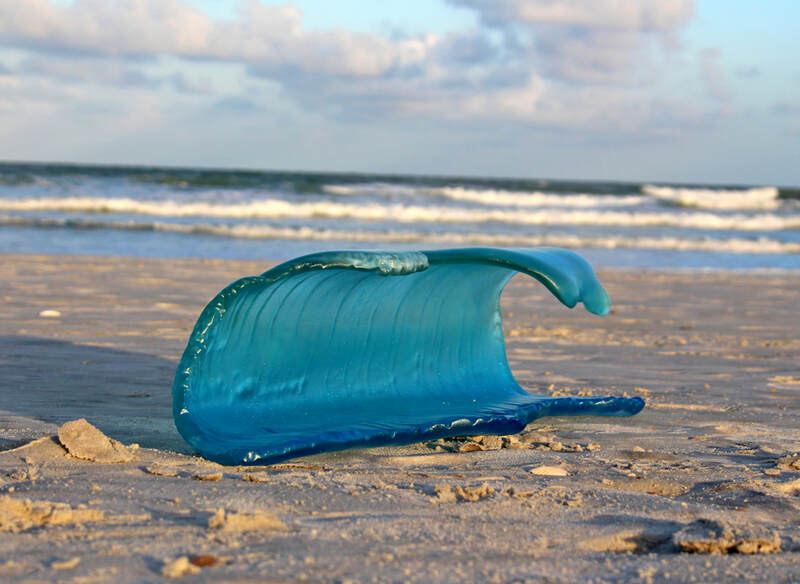 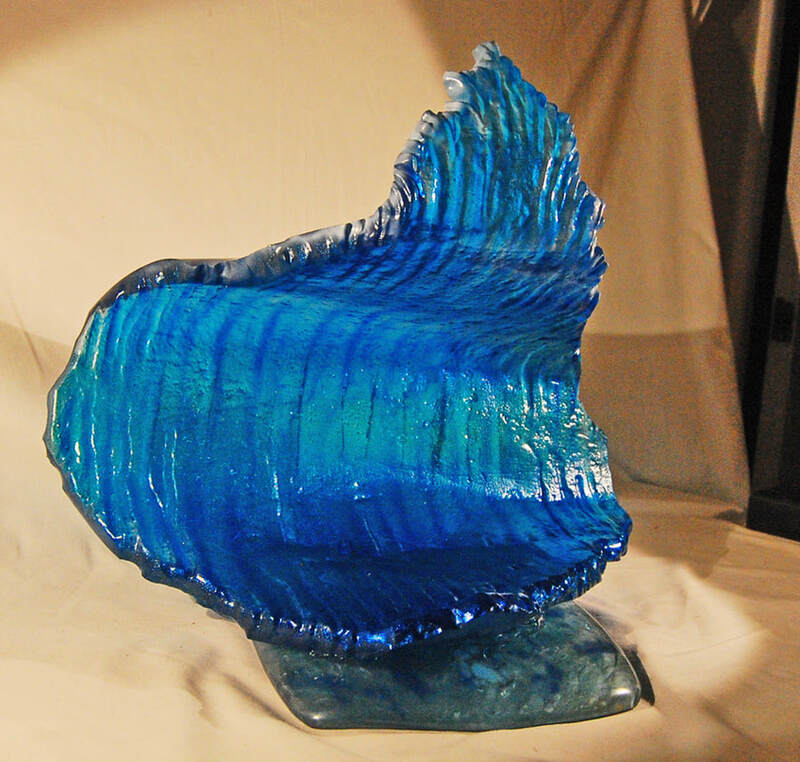 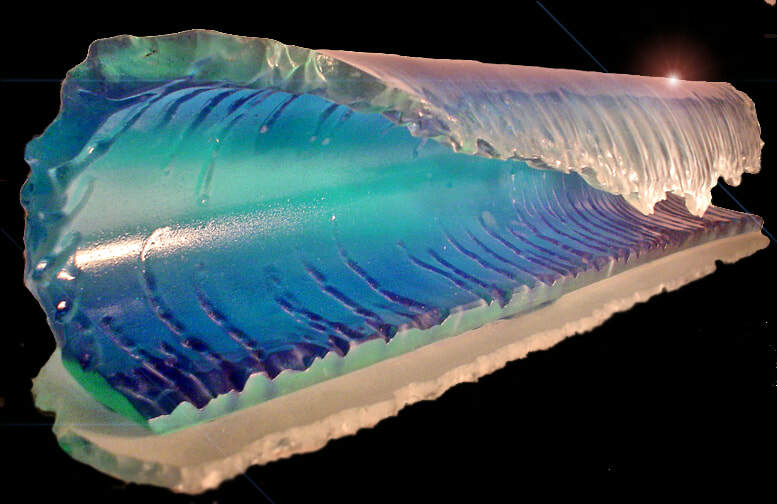 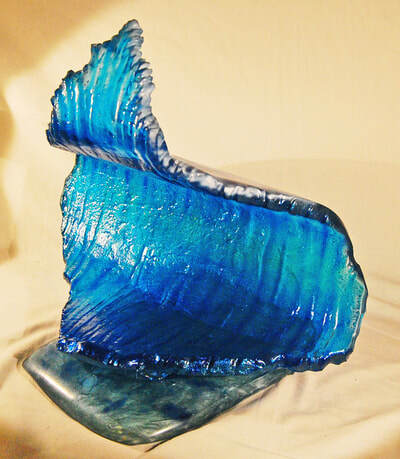 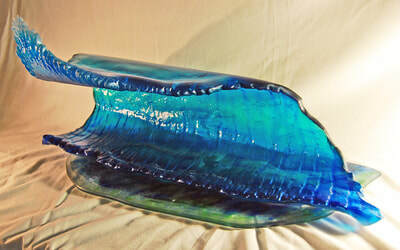 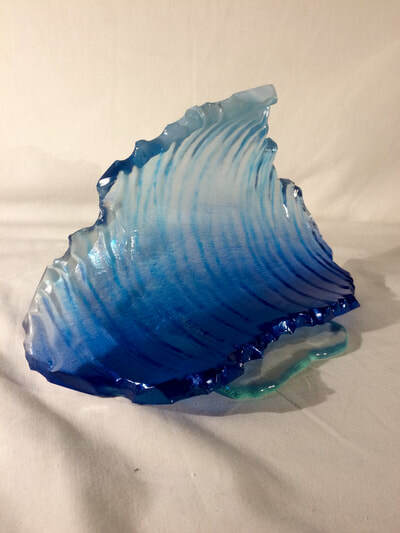 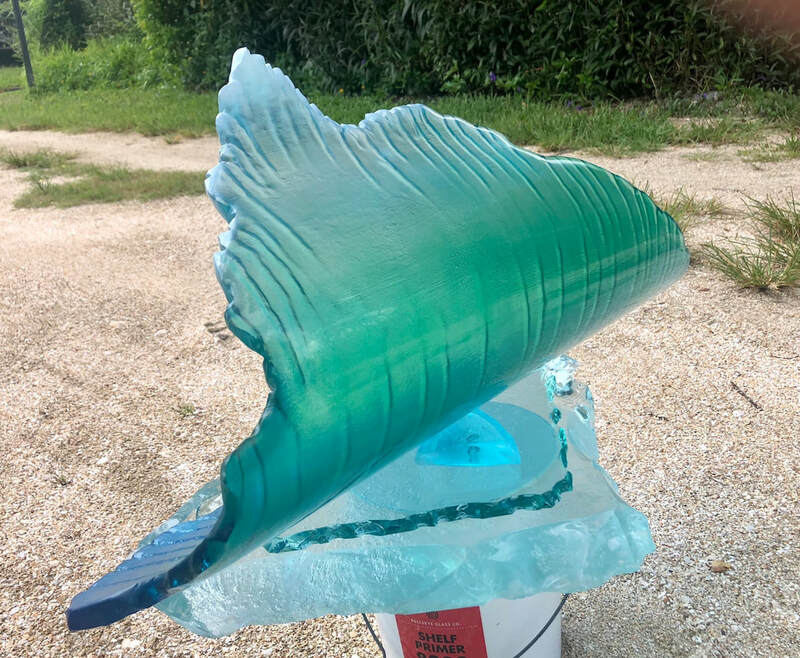 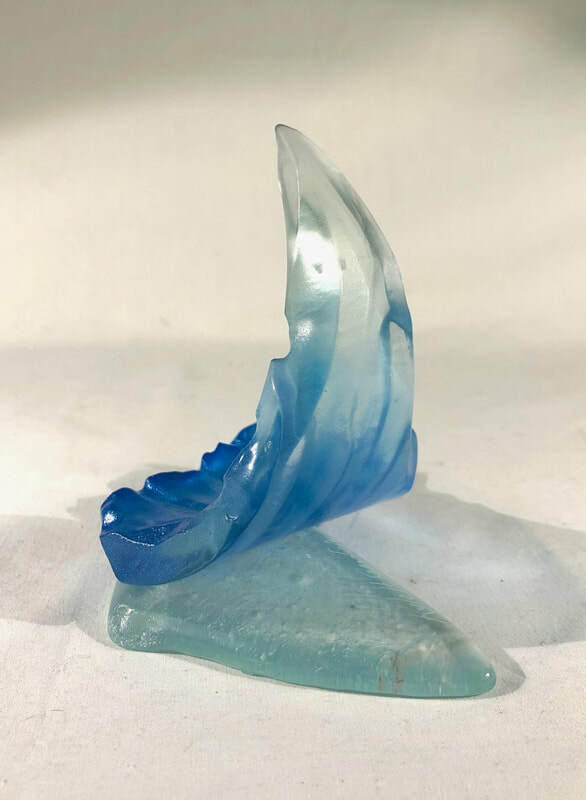 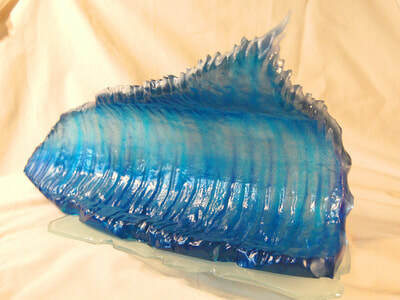 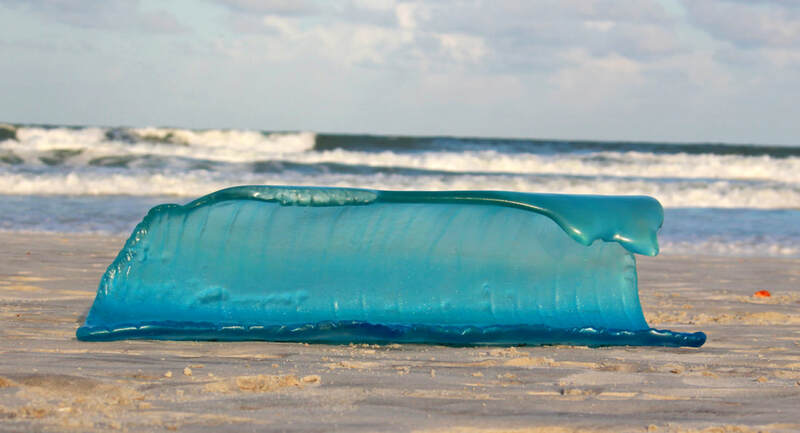 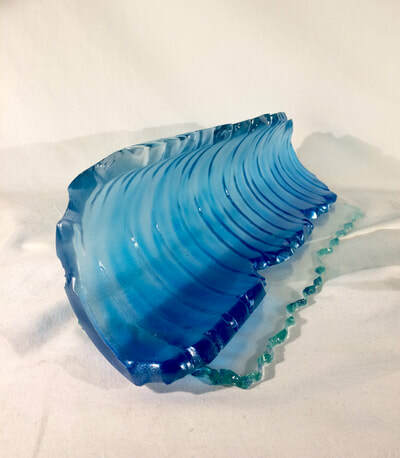 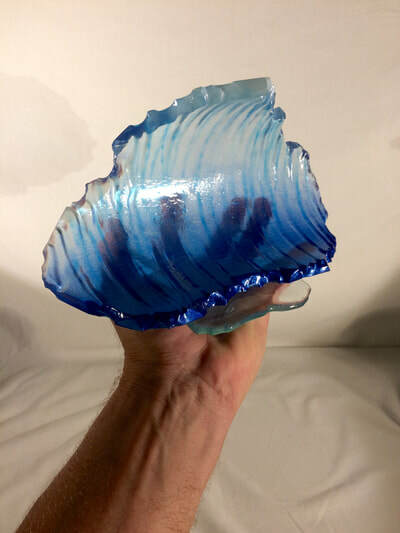 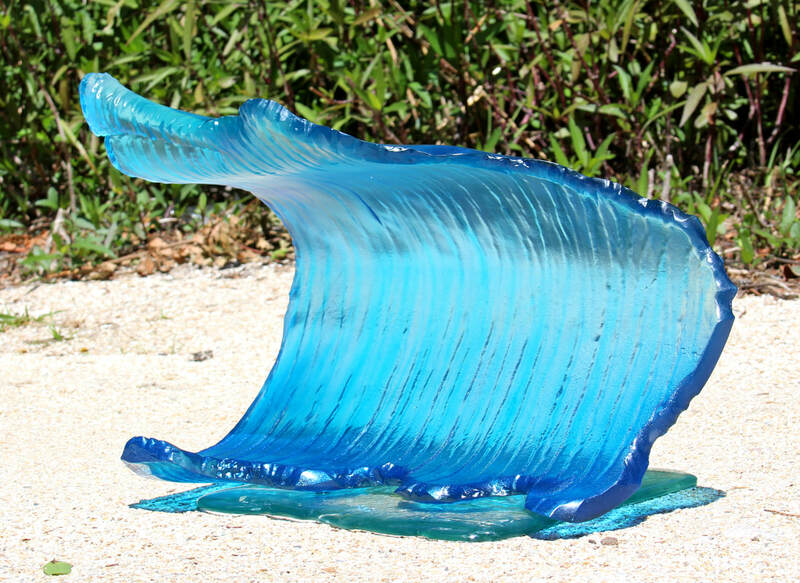 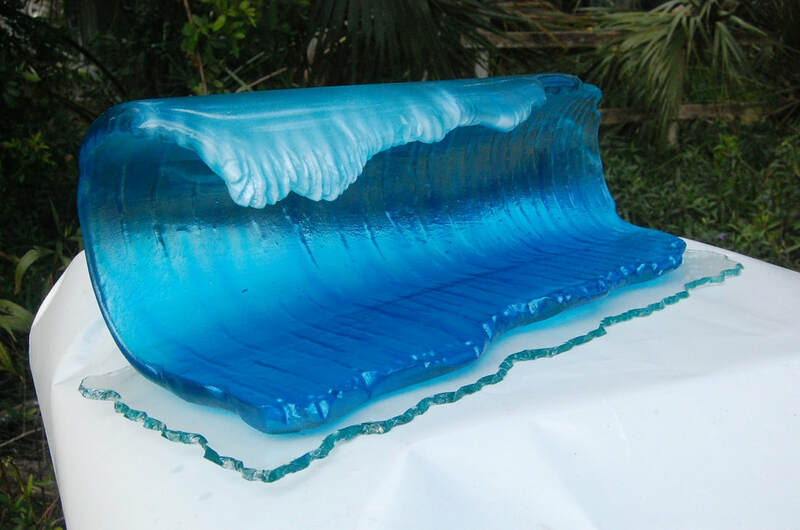 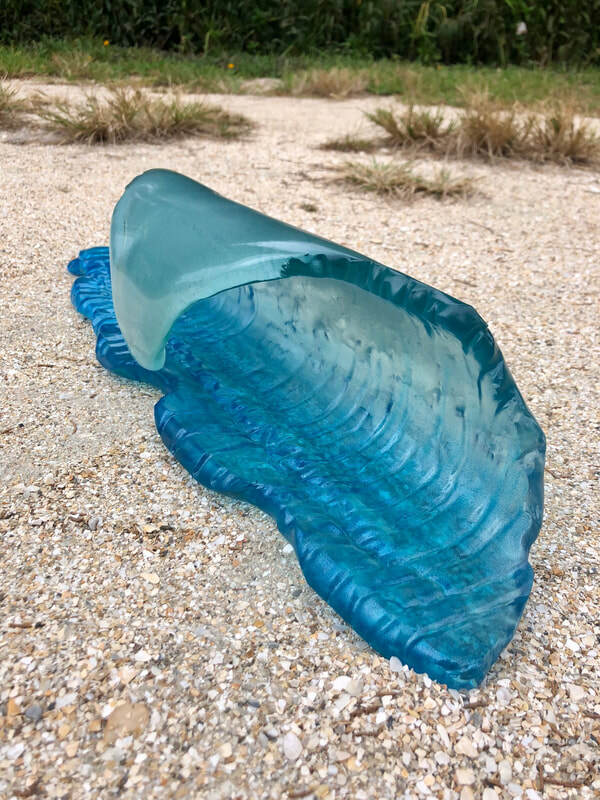 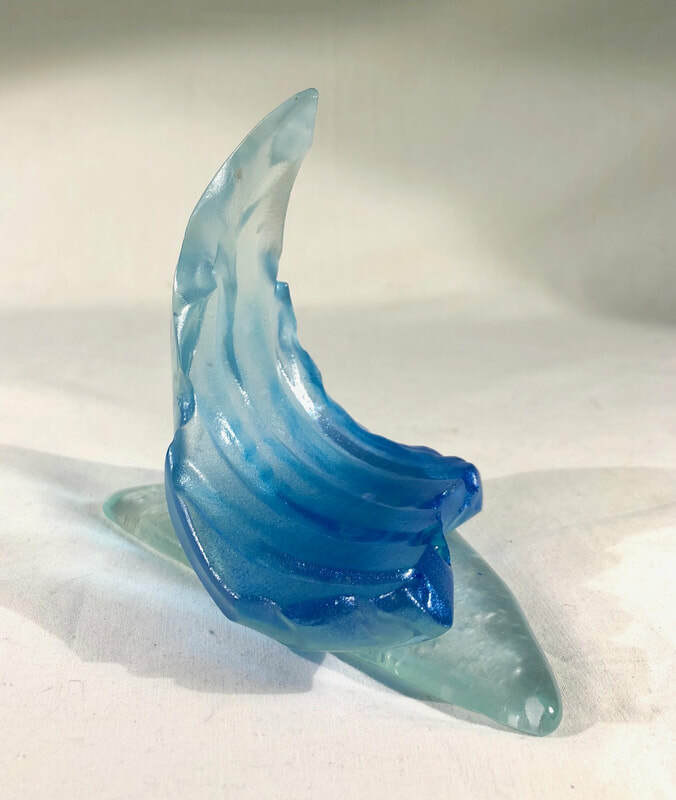 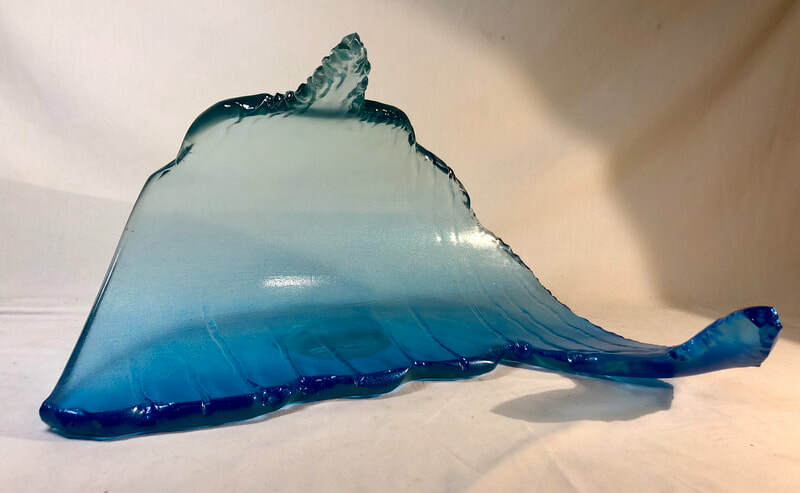 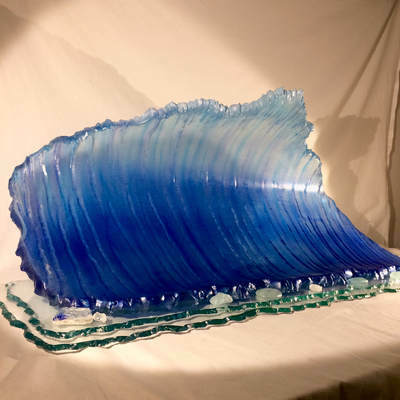 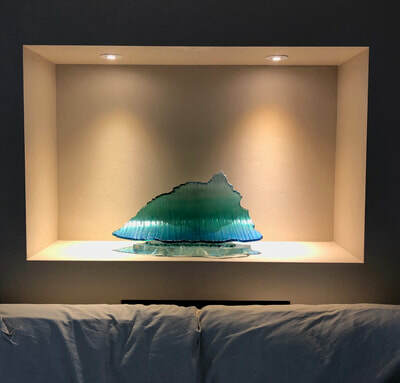 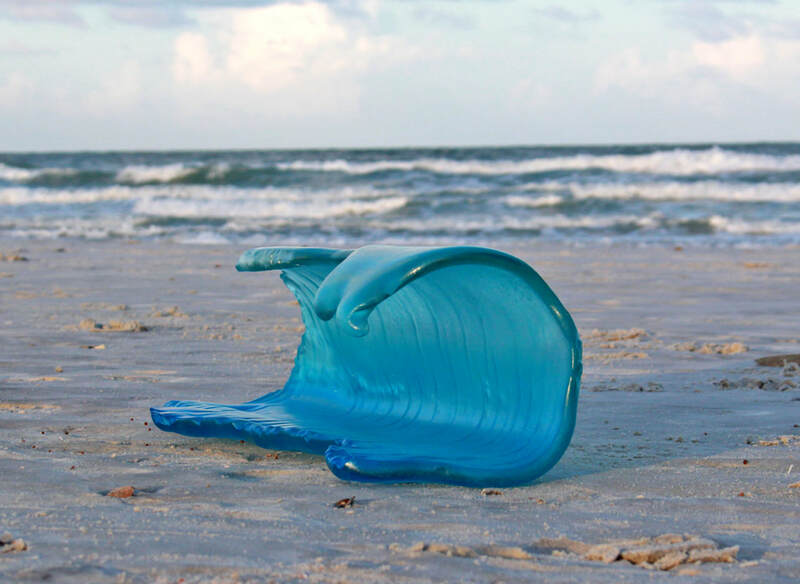 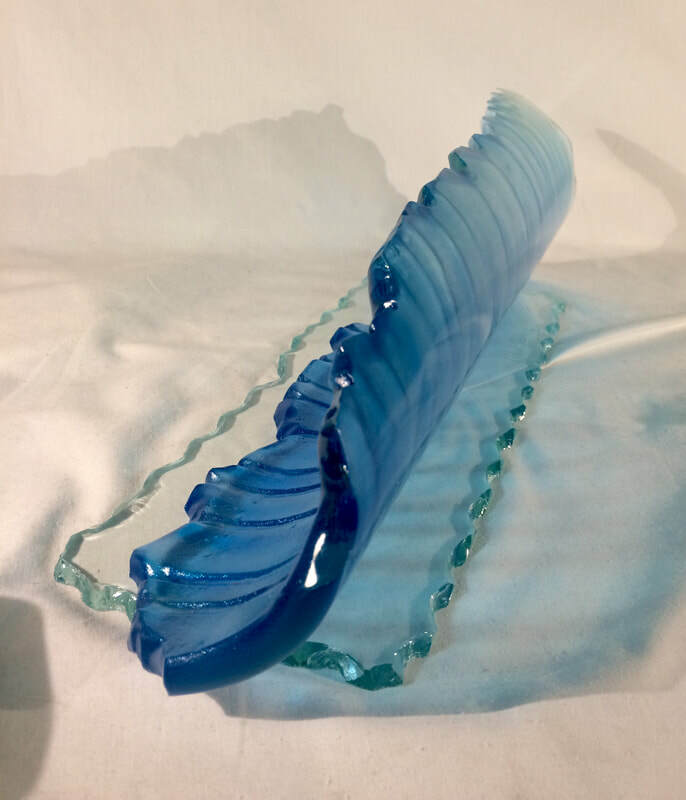 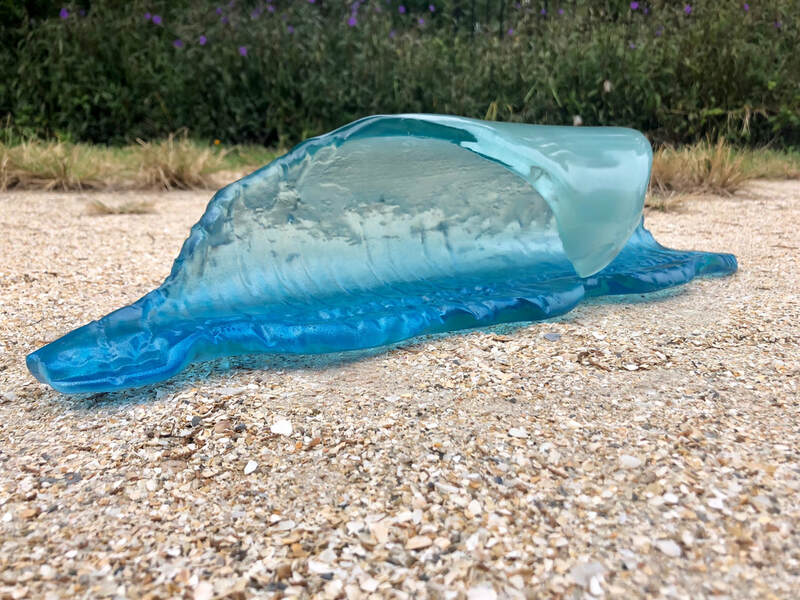 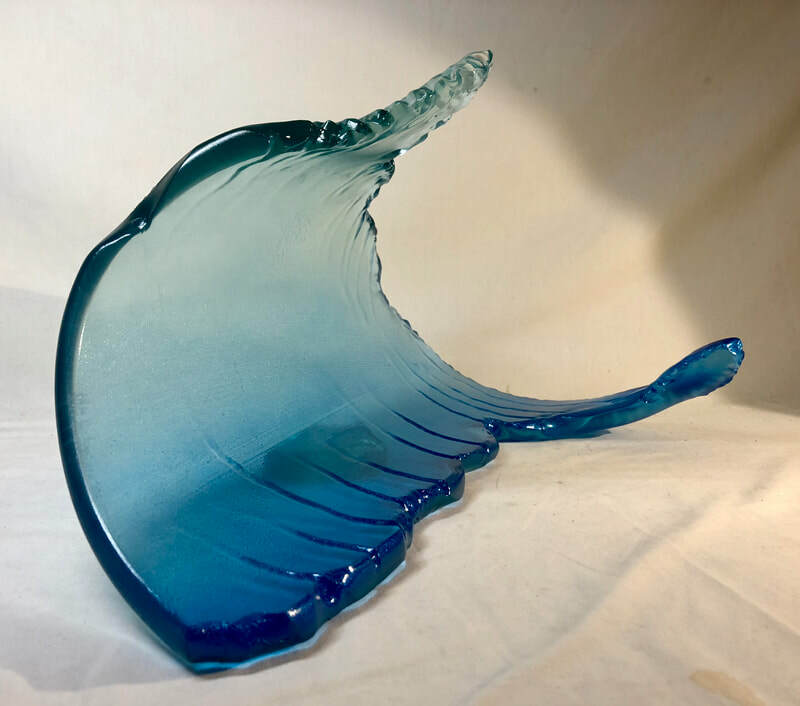 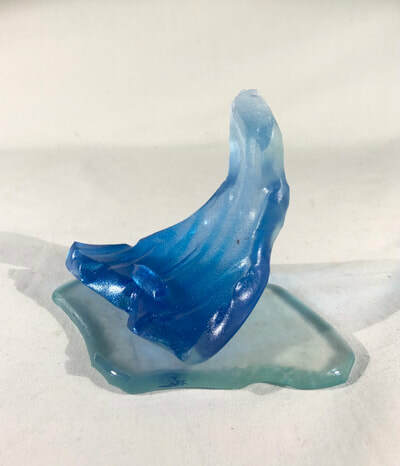 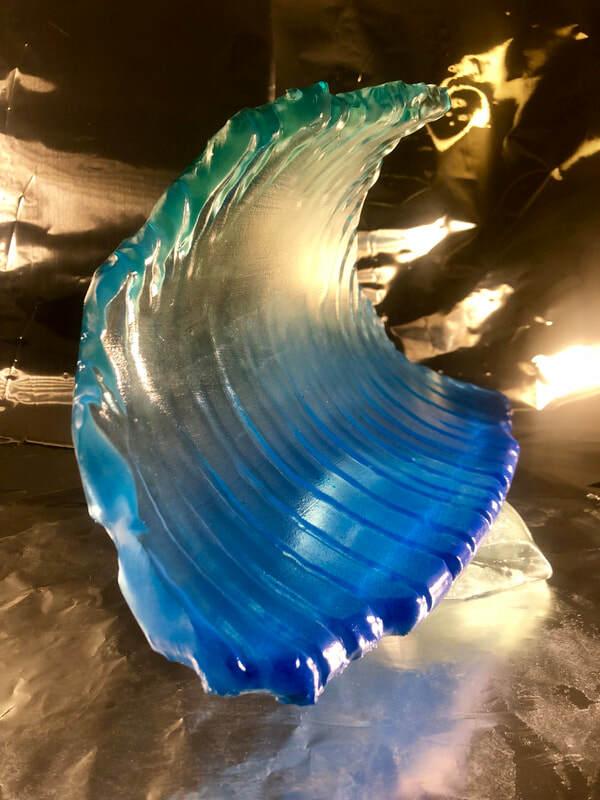 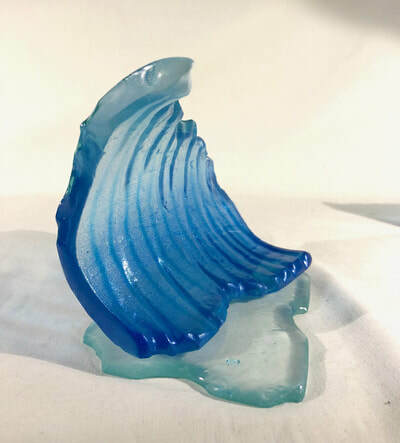 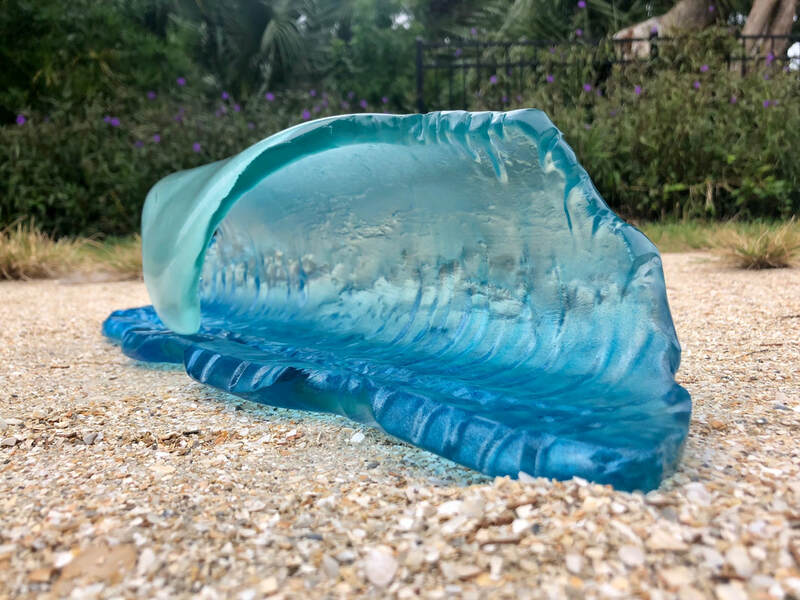 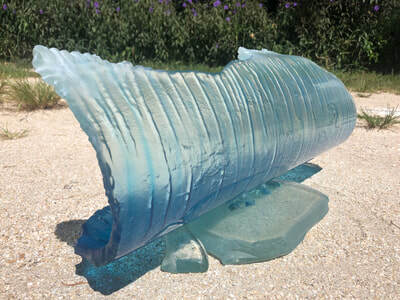 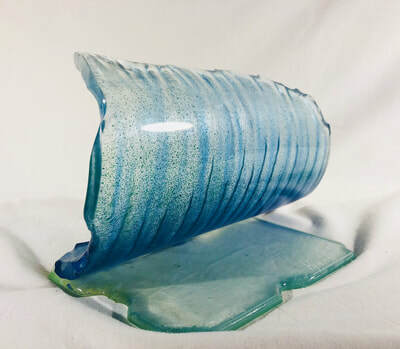 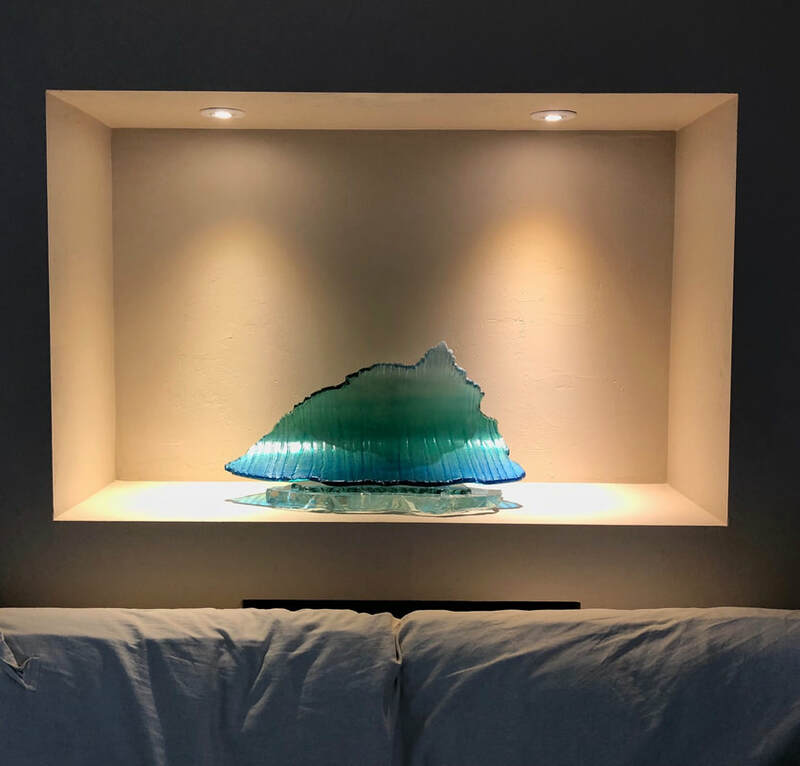 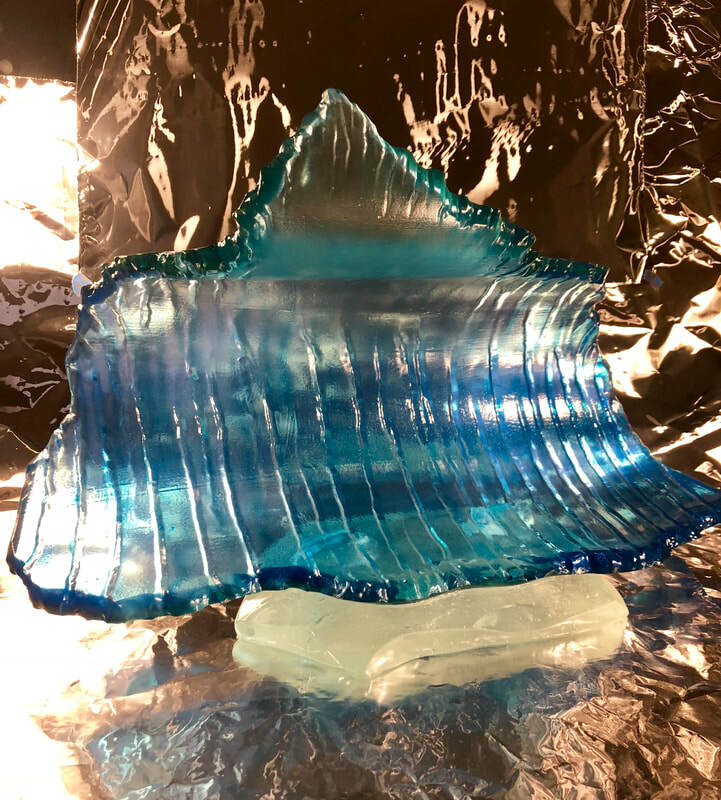 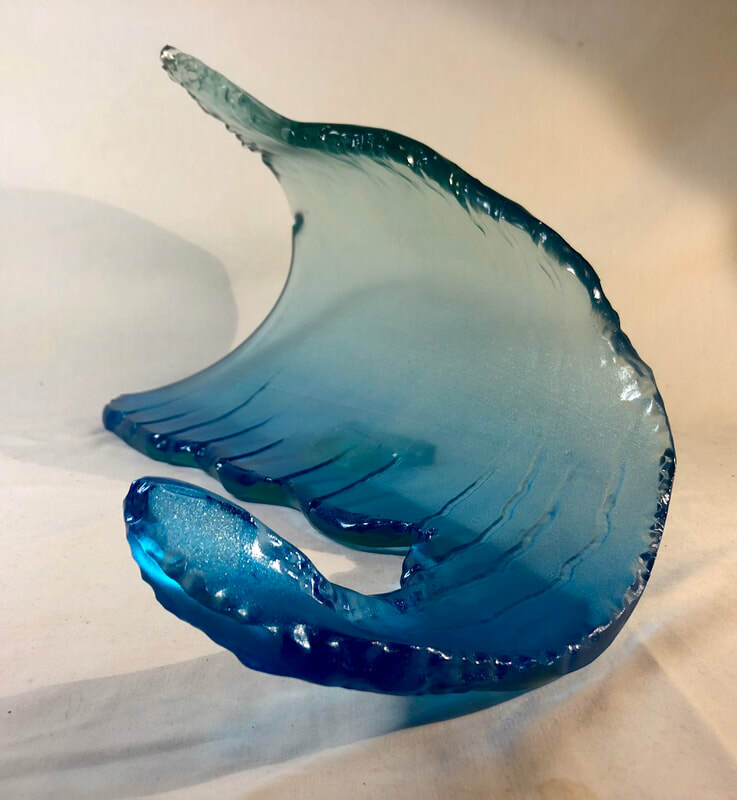 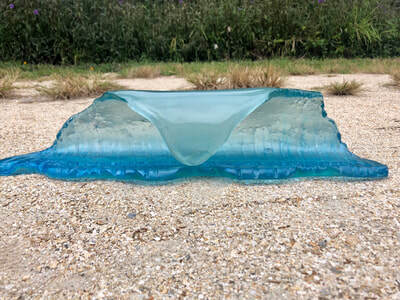 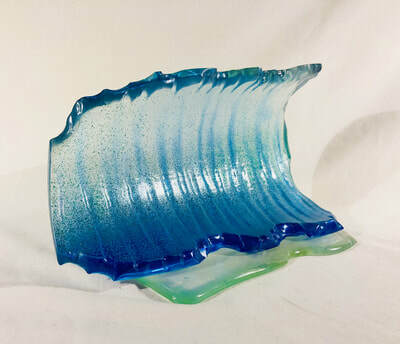 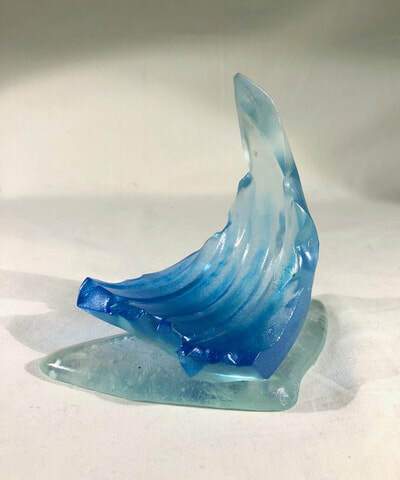 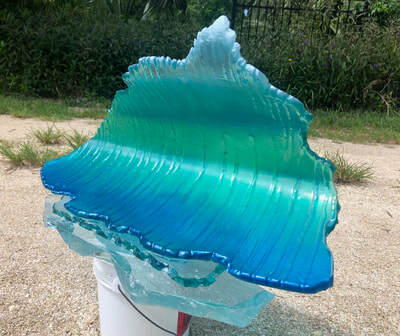 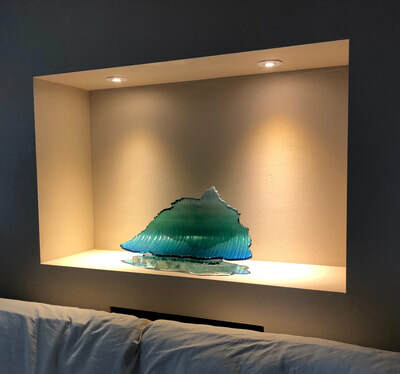 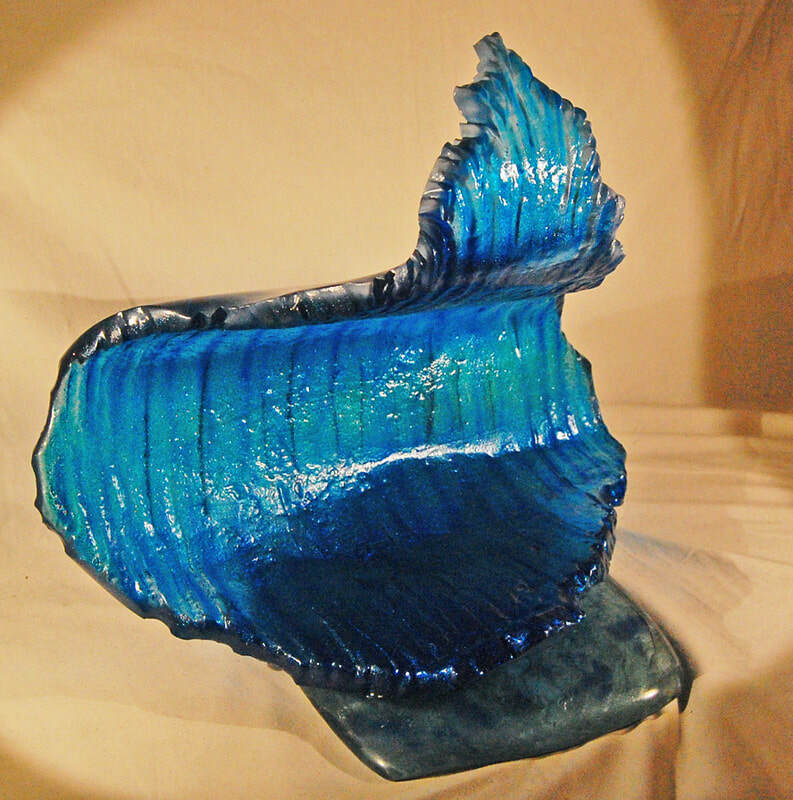 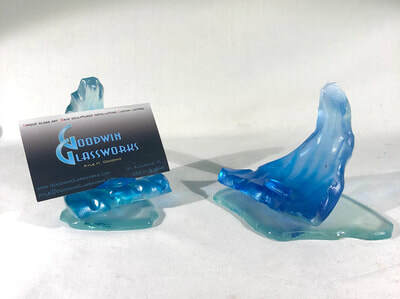 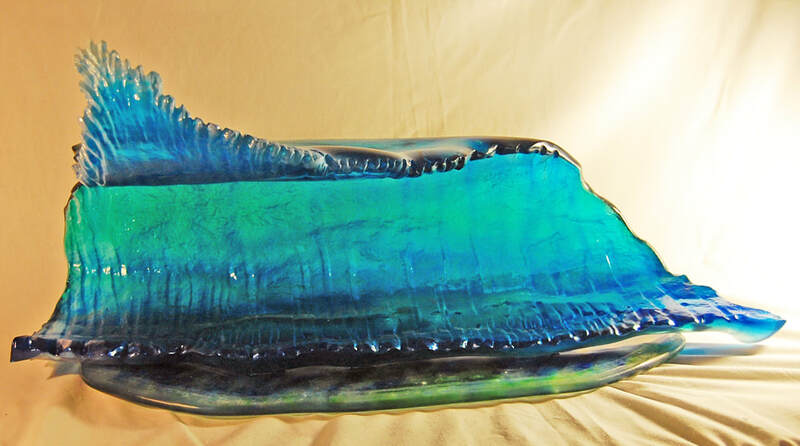 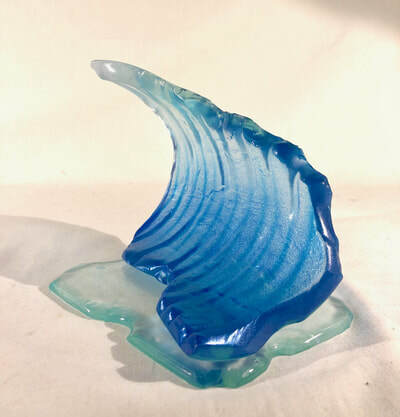 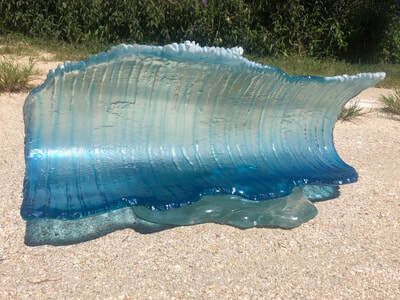 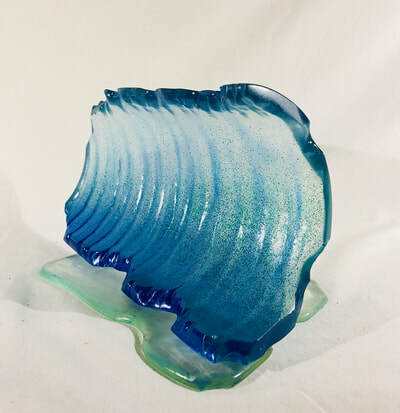 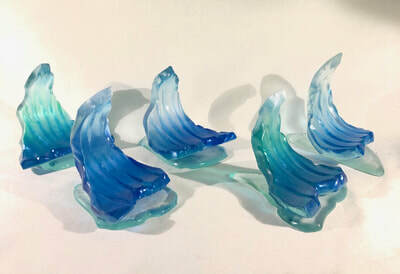 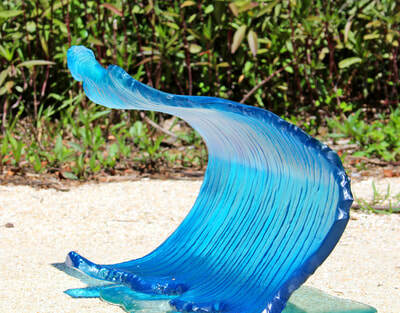 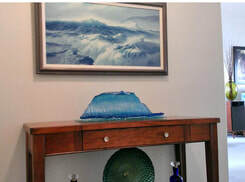 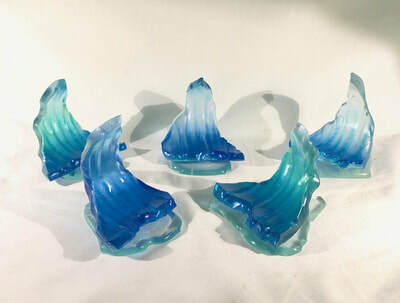 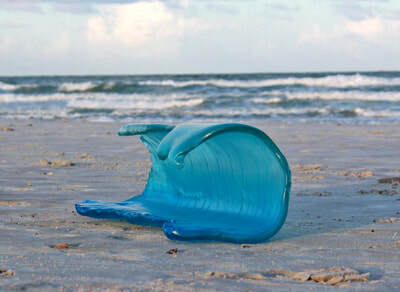 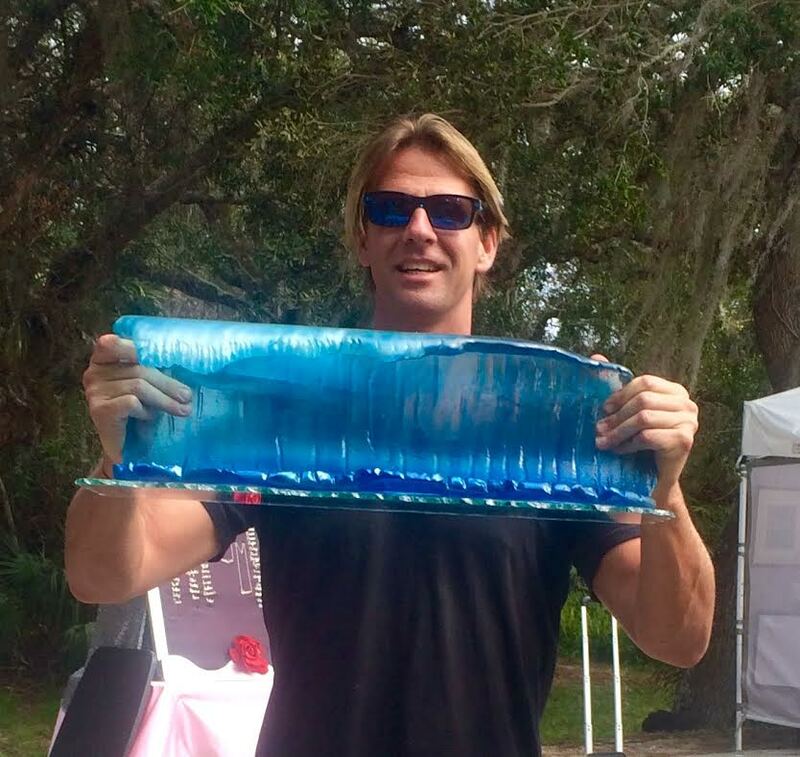 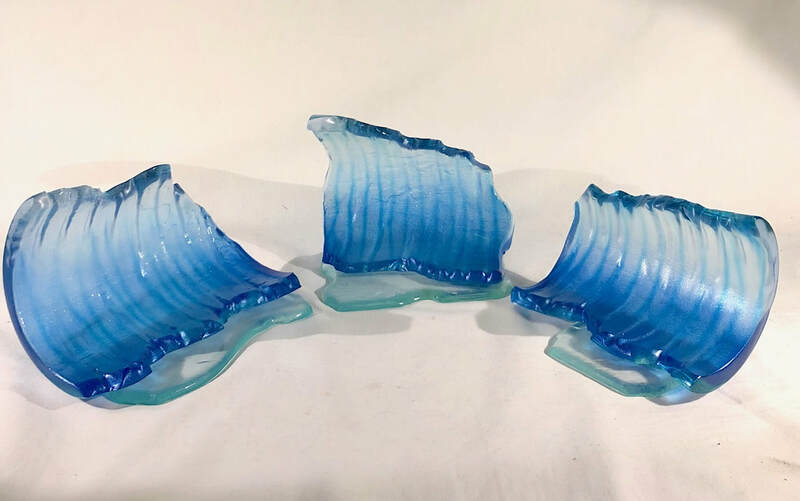 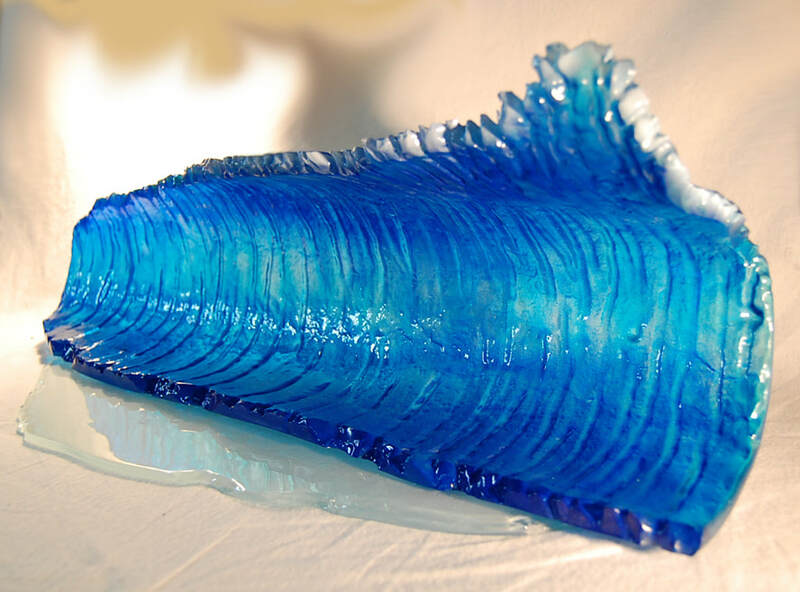 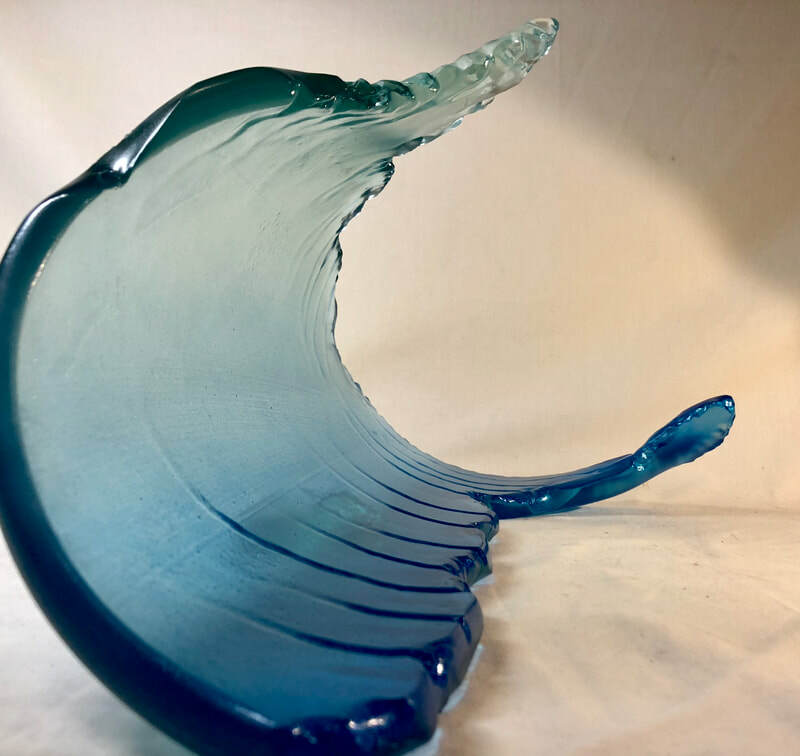 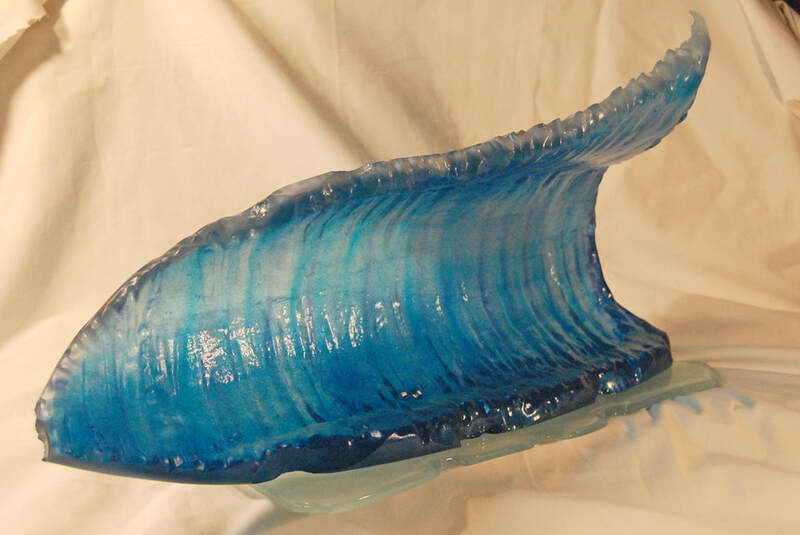 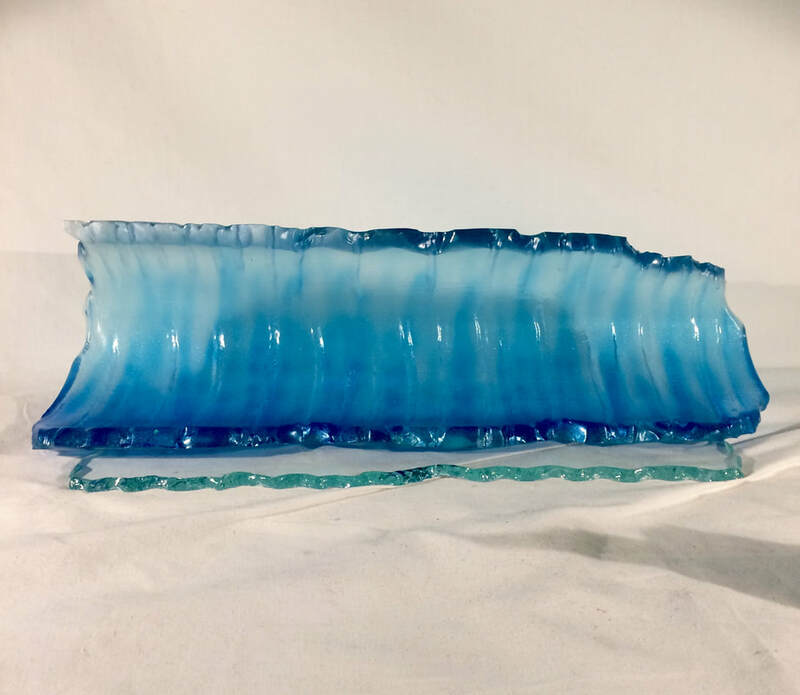 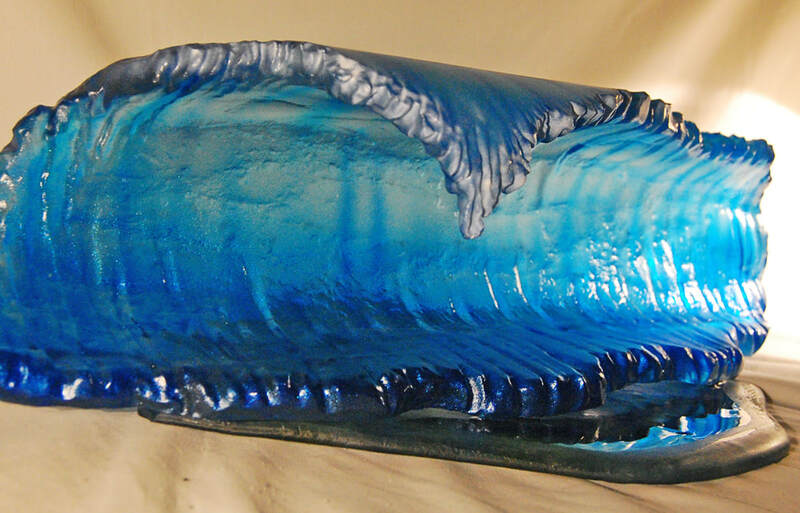 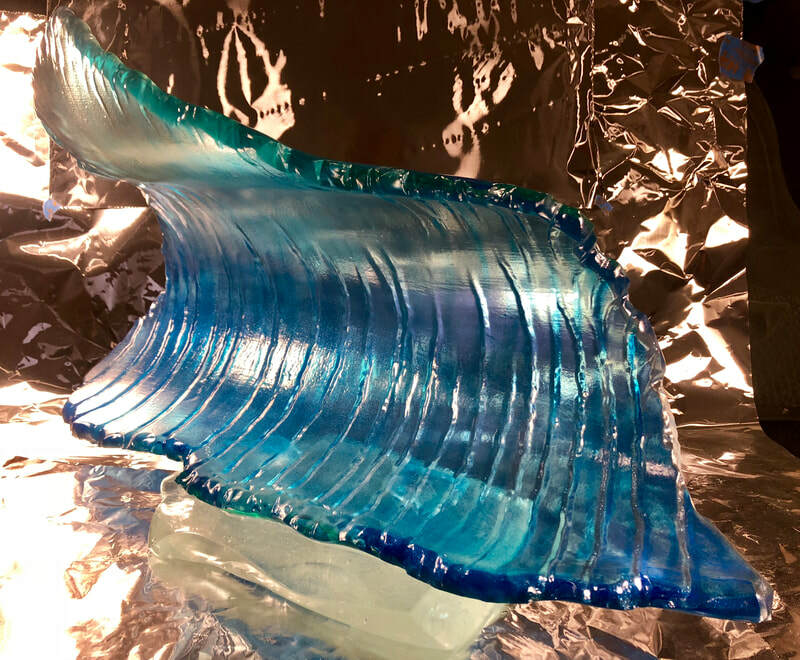 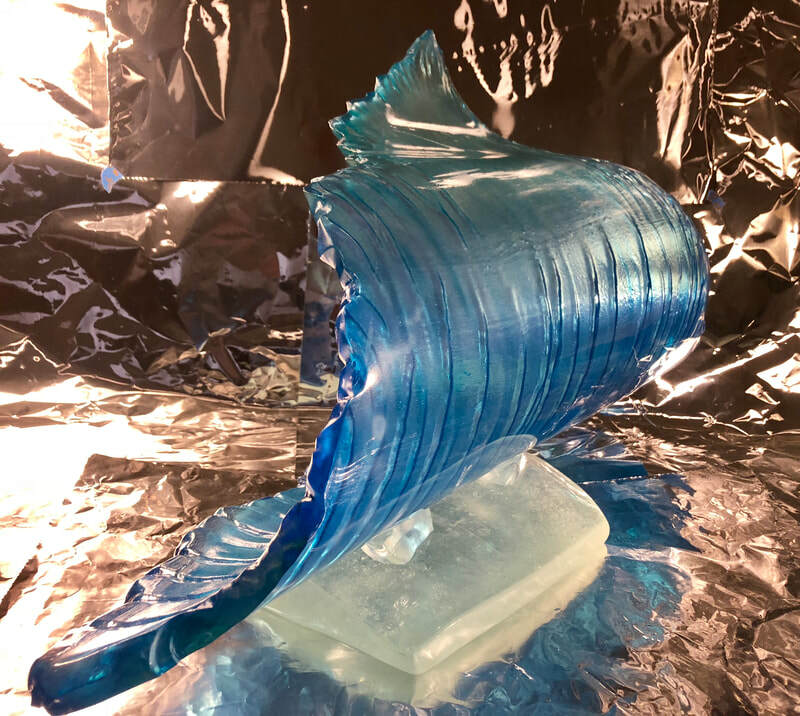 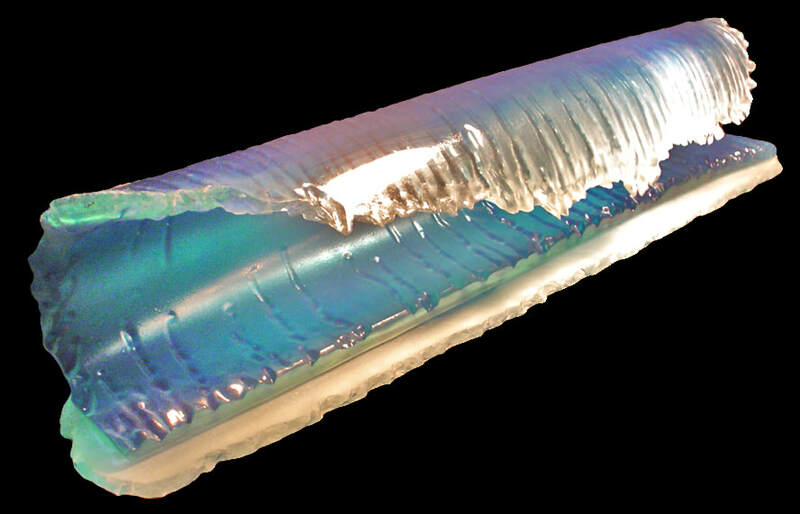 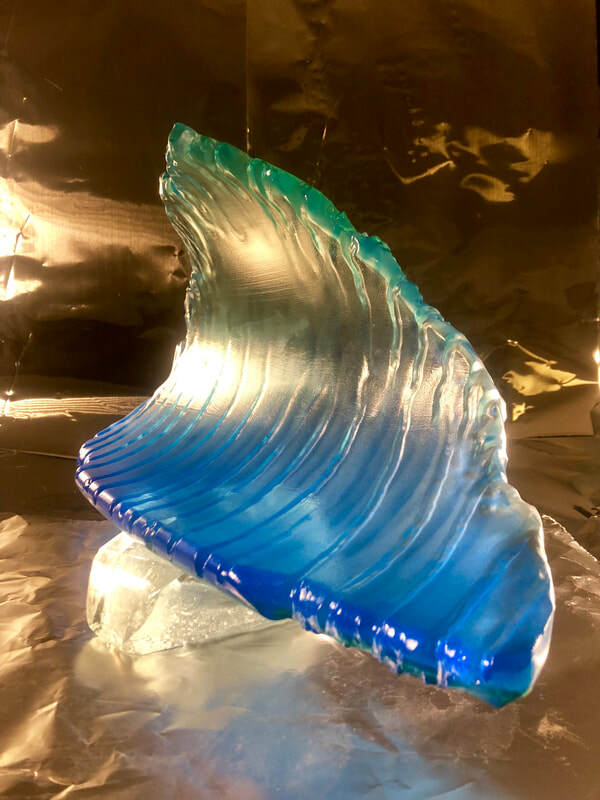 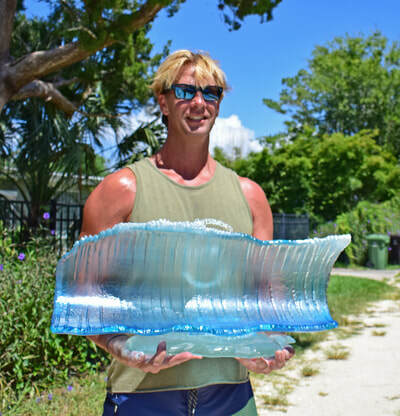 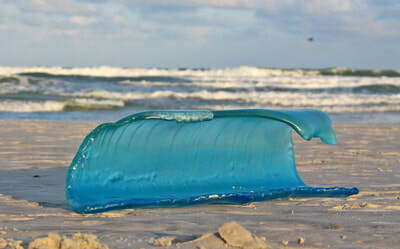 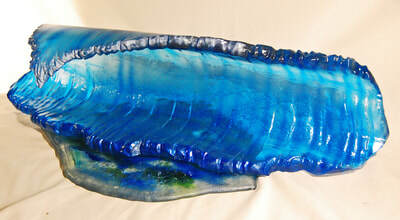 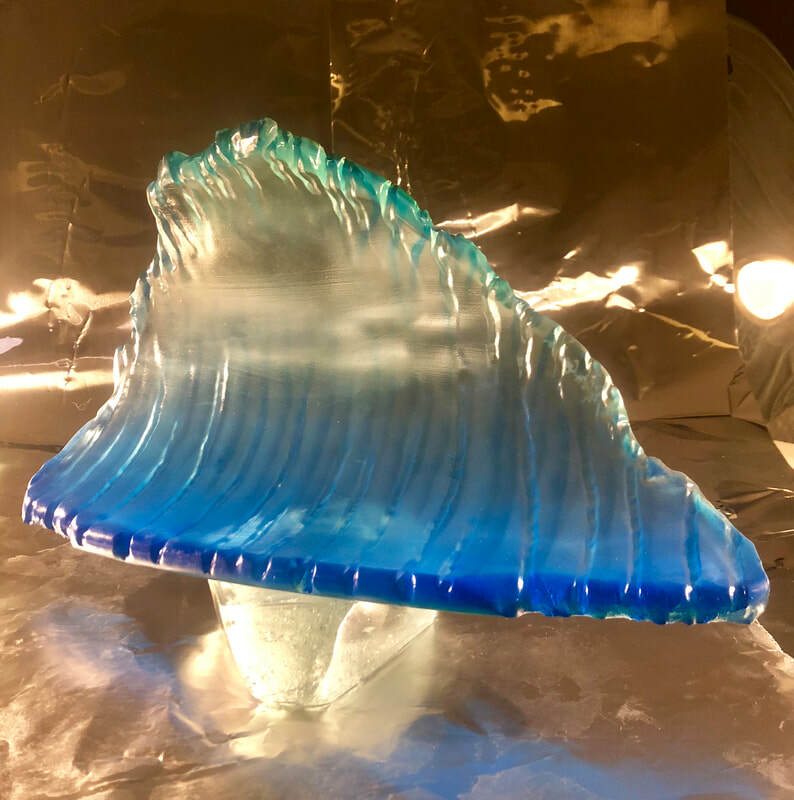 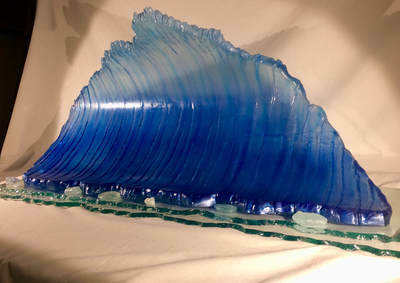 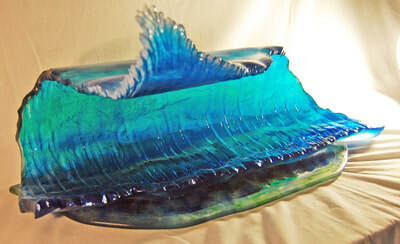 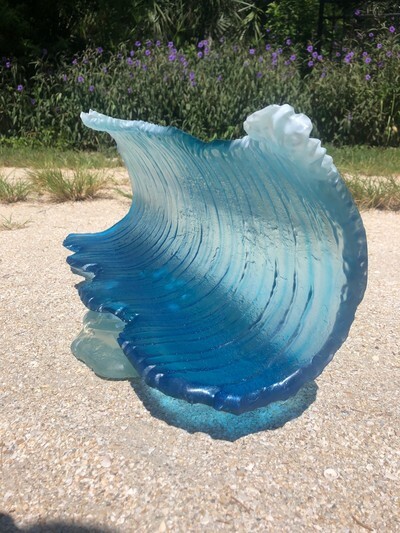 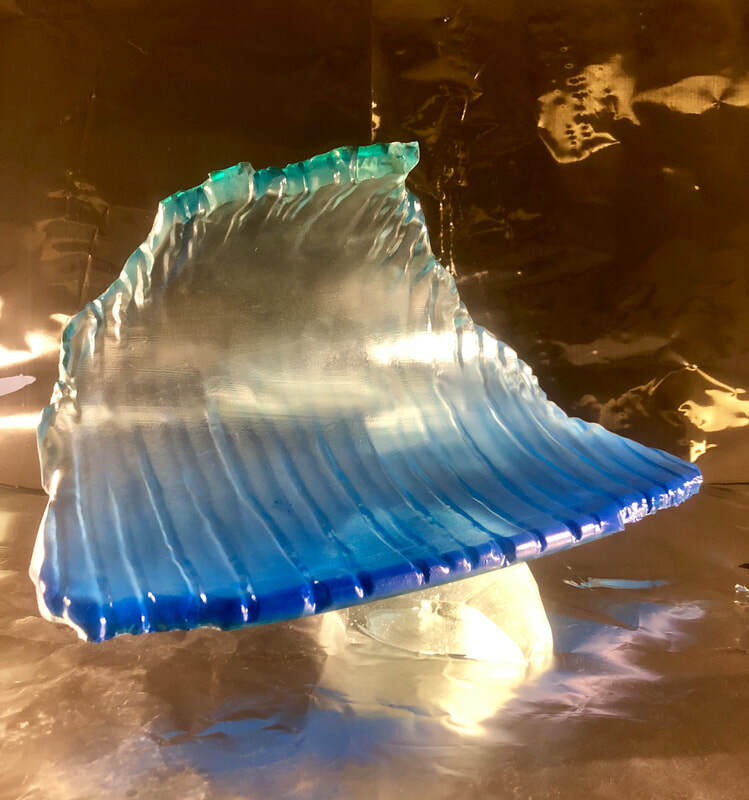 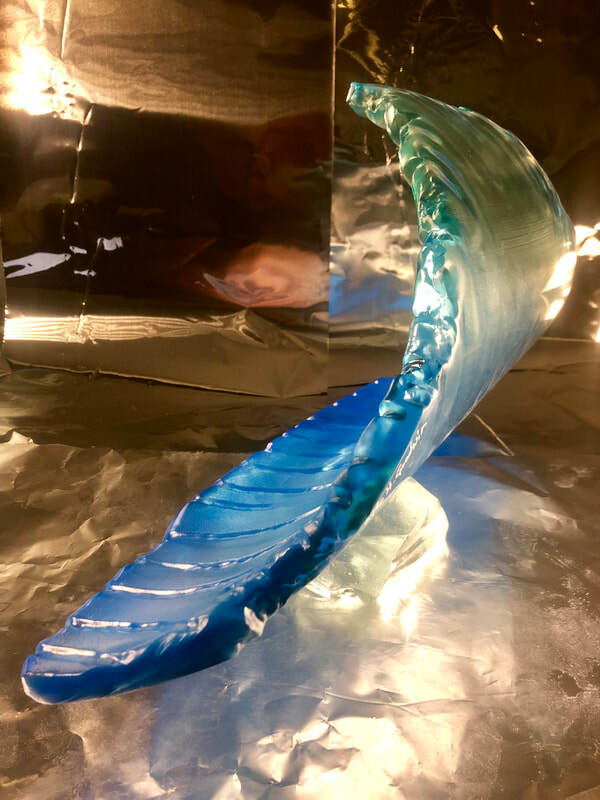 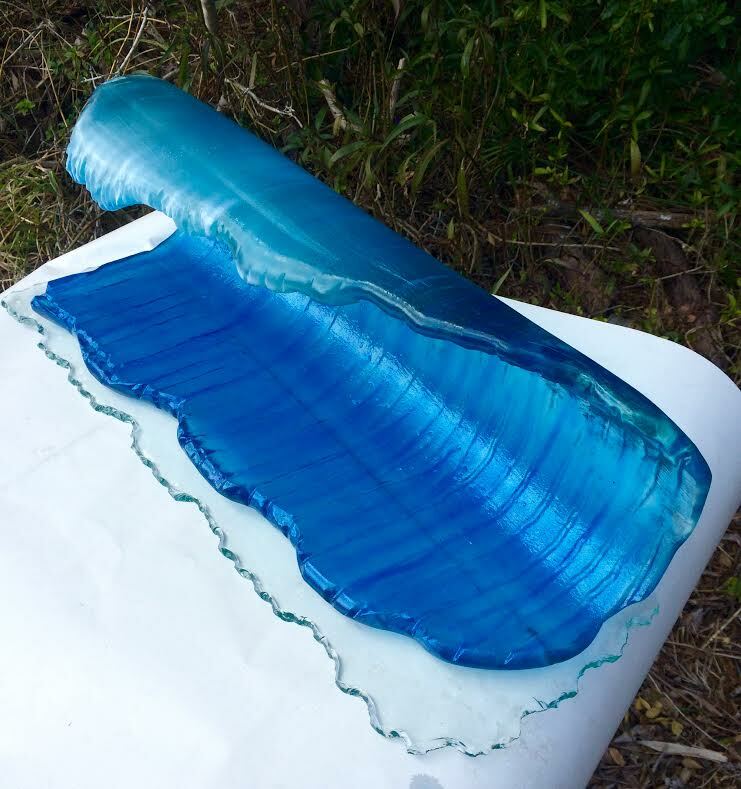 These are the original style of glass wave I created. 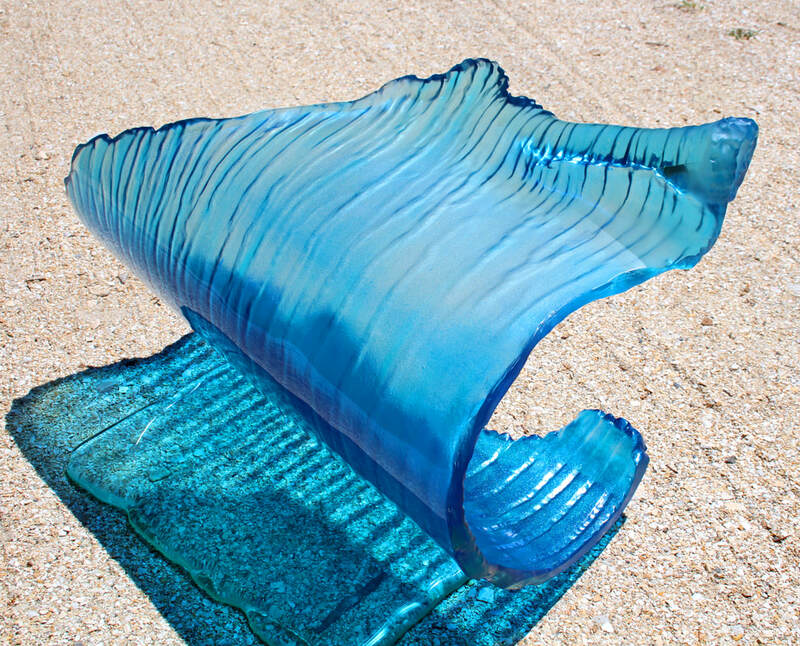 Kiln forming, sandblasting and coloring...each and every piece made by hand. Even the smallest wave takes around 16hrs. 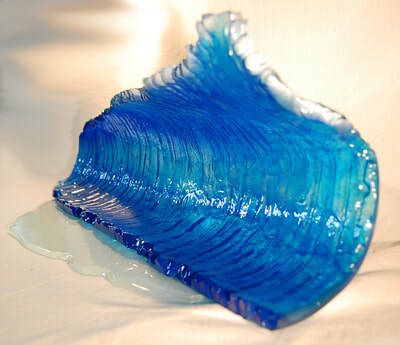 to create. I can make a wave similar to past waves but no two are ever exact! 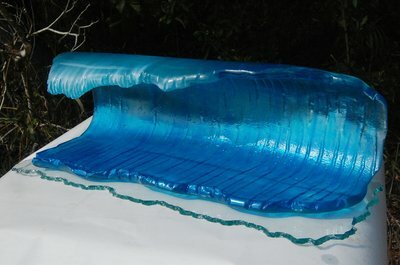 Barrels can take 45hrs. to make....always a fun challenge! 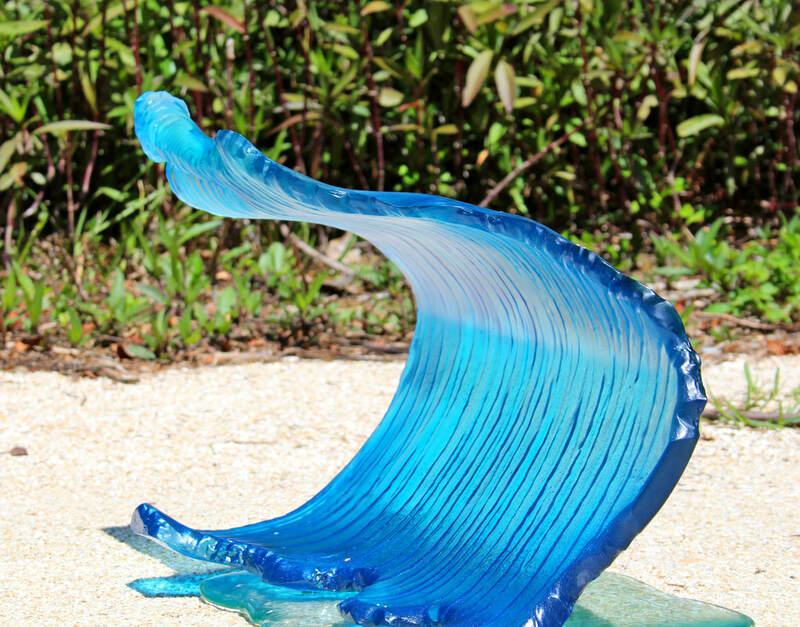 very unique wave with the forward splash stopped in motion! 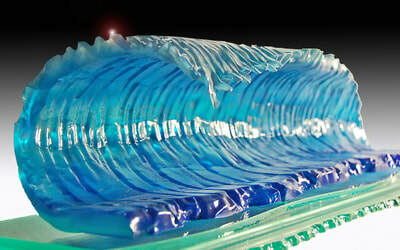 Contact to find out what waves I have in this category...or have a custom wave made.